San Diego, CA—The Medicare Access and CHIP Reauthorization Act of 2015 (MACRA) advances the goal of tying Medicare payments to quality and value. To succeed with MACRA, rheumatologists need to become familiar with how their practices will be affected and be prepared to incorporate the new measures to ensure they get the best level of reimbursement. At the 2017 American College of Rheumatology (ACR) Annual Meeting, a session titled “Holy MACRA! How to Survive and Thrive in the New Era of MACRA, MIPS, and APMs” was held to discuss the implications of this program. 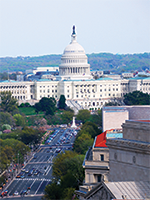 MACRA implemented a new payment structure called the Quality Payment Program that seeks to repeal the Sustainable Growth Rate formula and replace the Medicare rewards to clinicians from volume-focused to value-focused. MACRA offers 2 payment pathways—the Merit-Based Incentive Payments System (MIPS), which streamlines multiple quality programs to determine Medicare payment adjustments, and the alternative payment models (APMs), which gives bonus payments for participation. The session described the MACRA rule and pathways available to practicing physicians, how practitioners will be scored under MIPS, general and rheumatology-specific APMs, and where clinicians can find tools and best practices that can help them achieve maximum payments. Angus Worthing, MD, Arthritis and Rheumatism Associates, Washington, DC, and Chair, ACR Government Affairs Committee, explained that the MIPS pathway combines parts of 3 separate systems into one, namely, the Value-Based Payment Modifier (VBM), the Physician Quality Reporting System (PQRS), and the Medicare Electronic Heath Record (EHR) incentive program. A composite “MIPS score” (0-100) is derived for each eligible provider, based on how they performed in 4 categories—Quality, Meaningful Use of Certified EHR, Clinical Practice Improvement Activities, and Resource Use. The weightage for each category is as follows: 50% for Quality (PQRS/VBM), 25% for Meaningful Use, 15% for Clinical Practice Improvement Activities, and 10% for Resource Use. Based on the MIPS composite score they achieve, providers may receive a payment bonus, a payment penalty, or no payment adjustment. The MIPS score can significantly affect a provider’s Medicare reimbursement in each payment year, from –9% to +27% by 2022. In the new APM track, providers receive payment incentives based on quality, outcomes, and cost containment. Examples of APMs include accountable care organizations, patient-centered medical homes, and bundled payment models. Under the MIPS program, the bonus or penalty physicians may see starts at 4% of the fee schedule in 2019 (based on their performance of the past 2 years) and increases successively up to a raise or penalty of 9% in 2022. In contrast, the APM incentive program awards qualifying physicians a fixed, annual bonus of 5% of their reimbursement from 2019 to 2024. “Given that MIPS is budget-neutral, the people who are below the performance threshold are the losers. When they pay a penalty, that money is pooled across the country and given to the winners or those who perform above the threshold,” Dr Worthing said. To avoid negative payment adjustments in 2019, MACRA considers 2017 a transition year, allowing practices to participate in the “Pick Your Pace” program and select from 1 of 3 options to submit measures within the MIPS track. Another means to avoid penalties is to be in an advanced APM, which requires participants to use certified EHR technology, bases payments on quality measures similar to MIPS, and involves a certain level of financial risk. The benefits of striving for the APM pathway are many, with qualifying participants being exempted from MIPS and receiving a 5% annual incentive payment (2019-2024). In addition, beginning in 2026, participating providers will receive a 0.75% fee schedule update, whereas other nonproviders will receive a 0.25% update. Dr Worthing noted that, beyond the financial benefits of APMs, there are reasons to consider a specialty-specific APM. In particular, it would allow design of a model that works better for patients and rheumatologists, pay sufficiently for physicians’ work, ensure the future of rheumatology (since economics is a large factor driving career choice), eliminate burdensome barriers to care, and preserve patient access to high-quality care. “We have the opportunity to develop our own model that is not developed by the government, and it does not cater to other subspecialties. It is specific to rheumatology, our patients, our workflow, and what we think is value,” he said, noting that, although there are currently no advanced APMs for rheumatology, efforts are underway to develop one. Principles of a good APM include the identification of opportunities to reduce spending relevant to the physician’s services, the identification of barriers in current fee-for-service payments that need to be fixed, and the inclusion of provisions to ensure control of cost and quality. Avoidable spending may include unnecessary tests, treatments, or hospital stays, inefficiency, preventable complications, lower-cost sites of service, and preventable complications and/or downstream conditions. Dr Worthing said that he hoped the end result will be a “win-win-win” scenario, in which the payers win because of lower total spending, the patients win because they can avoid unnecessary services and gain access to more valuable services, and the physicians win because they receive adequate payment for high-value services.